Chitosan - What is Chitosan? There are many types of Phentermine available. Two common types include Phentermine Adipex and Ionamin. Another type "Herbal Phentermine", is not a prescription Phentermine, and is also not FDA approved. Phentermine is sold either as an immediate-release formulation (Adipex) or as a slow-release resin (Ionamin). Fastin was the brand of Phentermine made by King Pharmaceuticals for SmithKline Beecham, but was removed from the market in 1998, and is no longer sold. Adipex is a brand of Phentermine produced by Gate pharmaceuticals. Adipex is a stimulant that's similar to an amphetamine, and it is an appetite suppressant that's used to treat obesity. Adipex P 37.5mg are white, oblong, scored tablets with blue speckles. Adipex is the brand name for Phentermine Hydrochloride. Phentermine Ionamin is manufactured by Medeva Pharmaceuticals, and marketed by Celltech. Unlike Adipex, Ionamin uses a special resin matrix delivery system, which is a special time release formula. It is the only Phentermine product that has this time release resin matrix. No other generic Phentermine has this feature. Unlike either Phentermine Adipex or Ionamin, Herbal Phentermine does not require a prescription. As claimed by the makers of Herbal Phentermine: "Herbal Phentermine is a Non-Prescription appetite suppressant that is 100% natural and safe. Scientifically designed to create the similar effects of the popular prescription phentermine version, Herbal-Phentermine works to increase your metabolism, suppress your appetite, burn calories and increase energy. One difference between Herbal Phentermine and Phentermine is that with herbal phentermine there is no prescription needed!" Another difference is that Herbal Phentermine is also not FDA approved, unlike the prescription Phentermine. Basically, the Herbal Phentermine makers can say anything they want about their product with little to no evidence to back it up. Herbal Phentermine includes that following ingredients: L-carnitine, green tea, Camellia Sinensis, Alpha Lipoic Acid, Bioperine and Piper Nigrum, and Biotin. L carnitine - One of the key uses of Acetyl L-Carnitine supplement is for fatty acid oxidation - helping users burn unwanted body fat. Fatty acids are one the key energy sources the body uses, and oxidation is the process by which they're broken down to create energy. The fatty acids cannot penetrate the inner mitochondia membrane (where they are burned for energy), and the key role for L-Carnitine is to transport fatty acids accross the mitochondra membrane to allow for oxidation of the fats. Green tea extract is also a common ingredient in many fat burners - it helps with thermogenesis and helps the metabolism of fat. It works without increasing the heart rate which is most often associated with most fat burners. With green tea, dieters get the weight loss without the jitters and side effects. Alpha Lipoic Acid is an antioxidant, and is widely used in prevention of various diseases. Its main function is to increase production of glutathione, which helps dissolve toxic substances in the liver. An antioxidant helps neutralize free radicals in our bodies and protects our cells from damage. Biotin (Vitamin B7) is a water-soluble vitamin, generally classified as a B-complex vitamin. After the initial discovery of biotin, nearly forty years of research were required to establish it as a vitamin and categorized as a Vitamin B. 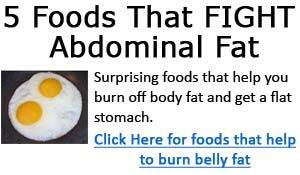 >> Click here to learn more about the Fat Loss for Idiots Diet and be on your way to successful weight loss.